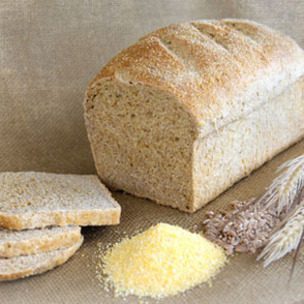 We love baking fresh whole wheat products for you. 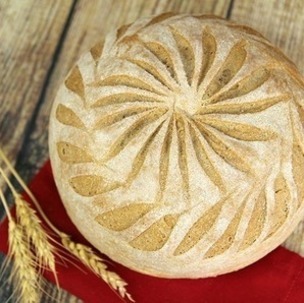 This month we're so excited to introduce you to Dakota Bread! It is 100% whole grain and 100% delicious. 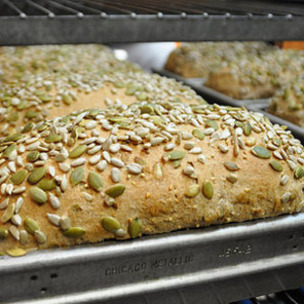 Sunflower, pumpkin, millet, and sesame seeds are generously kneaded into our honey whole wheat dough for a crunchy, hearty flavorful bread. There are many ways to enjoy Dakota Bread. We suggest you slice it thin, toast it and serve it with an herbed goat cheese, fresh fruit, or as a sandwich. Either way, it is divine! IT TAKES MORE TIME AND ATTENTION TO MAKE A LOAF FROM SCRATCH, BUT THE TASTE IS WORTH IT. 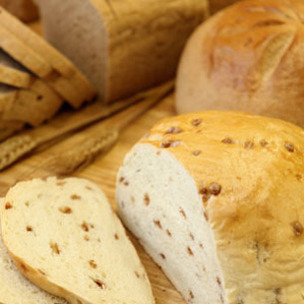 Our signature and most popular bread is a perfect blend of five pure ingredients – freshly ground, flavor-rich, 100% whole wheat flour, pure honey, filtered water, salt, and yeast. Sunflower, pumpkin, and sesame seeds are generously kneaded into our honey whole wheat dough for a crunchy, hearty, and flavourful bread. Enjoy the sweet goodness of cinnamon chips in every bite. Flour, cinnamon chips, honey, and ground cinnamon. Makes a heavenly French toast. Freshly ground 100% whole wheat flour, honey, flax seeds, oat bran, millet, sunflower seeds, and wheat bran. Hummus as bread! 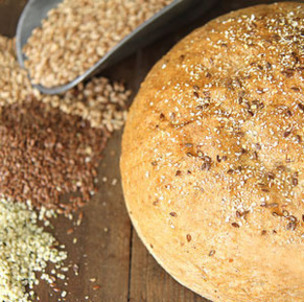 This awesome bread is made with only fresh, simple ingredients: chickpeas, freshly ground 100% whole wheat flour, sesame seeds, garlic, cumin, cayenne pepper, olive oil, honey, salt, yeast, and water! It makes an incredible sandwich bread, or try it toasted with fresh avocado. 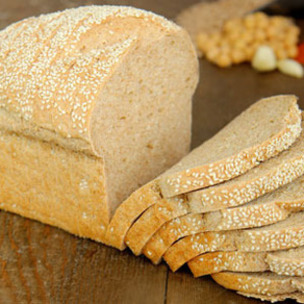 A 100% whole grain bread made with only super simple, nutritious ingredients: quinoa, freshly ground whole wheat flour, flax, oat bran, hemp seeds, extra virgin olive oil, honey, salt, yeast, and water. A tantalizing combination of buttermilk-soaked coarse cornmeal, whole wheat and white flours, honey, and molasses. Soft and fluffy with the sweet crunch of corn. 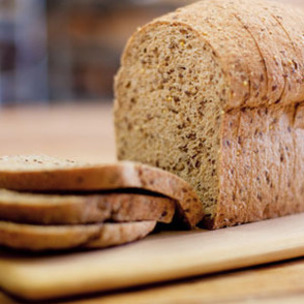 It is perfect sandwich bread and makes a wonderful toast!